It is voting day! 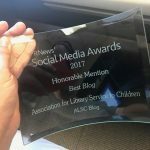 What does this mean for libraries? If your library is a polling location, then you will have the opportunity to welcome a diverse group of individuals through your doors. Folks that use the library all the time, those that may have never visited your library, or others who have not darkened the library’s doors in decades. Persons from all walks of life are sure to be in the library today! 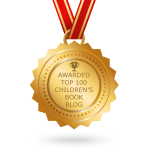 Do you have any special displays or signage to let everyone know that “All are Welcome Here?” If not, you still have time to promote diversity and inclusivity via informal displays of diverse books. This might be the one opportunity to make the difference in someone’s life – to provide a welcoming smile or friendly gesture to let the know that they belong at the library. 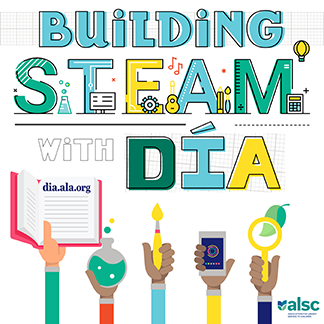 If you need suggestions for titles to pull for informal displays, consider some of the following ALSC booklists: Working Together for Justice and Unity, Kindness, and Peace booklists or the Día lists celebrating diverse voices. Remember that today and everyday collectively, librarians seek good for our country, communities, and ALL individuals in our world. May we do so with our voices and actions raised in love and kindness. 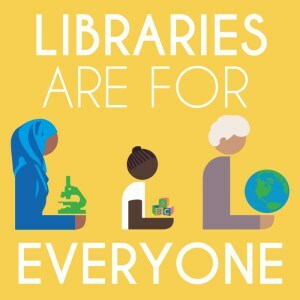 It may be a particularly difficult time for some children’s librarians who have recently been the targets of political attacks as a result of serving the diverse members in their communities and ensuring that all really means all. To my colleagues in the field striving to help underserved and sometimes voiceless communities, I stand with you in solidarity, kindness, and love as you tirelessly advocate for all children and families. 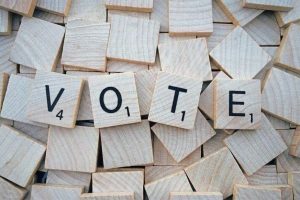 Speaking of voting, the 2019 ALSC slate has just been published on the ALSC website at: http://www.ala.org/alsc/aboutalsc/governance/election/2019-election. Ballot mailing for the 2019 ALA election will begin on March 11, 2019, and run through April 3, 2019. Results will be announced on April 10, 2019. The ALSC ballot includes candidates standing for election for Vice President/President-Elect, Board of Director, “New to ALSC” Board of Director, Fiscal Officer, and membership on various award committees. Be on the lookout for future blog posts profiling various candidates for the ALSC leadership positions. ALSC elections are extremely important as they give you the opportunity to choose individuals to move our association forward in our various strategic areas. In other ALSC news, the ALSC Board is currently discussing next steps for our summer learning work. After the successful implementation of the Curiosity Creates project funded by Disney, the corporation provided a donation to ALSC to be used for administrative costs and project support, as directed by the ALSC Board. At ALA Annual 2017, the ALSC Board approved using these funds for summer learning work. At the ALSC Executive Committee (EC) meeting in October 2018, the ALSC EC brainstormed ideas for how we to use the donation to support our summer learning efforts. These ideas were presented to the ALSC Board last week and we are discussing now what would be the most impactful way to reach underserved populations via summer learning. Are you planning on attending the 2018 National Council of Teachers of English (NCTE) conference in Houston, TX next week? If so, I will be hosting an ALSC Meet-Up at 7:30 p.m. on Thursday November 15th at The Grove restaurant. This is an opportunity for me to hear about the awesome work that you are doing to welcome everyone in your libraries and for attendees to network. If interested, please RSVP to me by November 13th. This will allow for an accurate headcount for the reservation. Again, my sincerest gratitude to each and every one for what you do daily to serve your communities and welcome them with open arms. I look forward to connecting with some of you at NCTE and other as I’m on the road visiting various libraries. Are YOU offering a Mock YMA Election This Year?